It’s been a while since I’ve last posted due to a very busy work schedule, but I wanted to stop by and share something that I’ve discovered that I think all of you might like and could use. While this year is only half way through, there’s been so much going on in the news that it’s hard to keep up with what’s true, what’s not, and what’s worth knowing. A few months ago I was introduced to a newsletter started by two women that has changed the way I get my news. While I majored in Broadcast Journalism in college, I ended up with a job in technology instead. I’m still interested in the news and keeping up to date on the latest happenings but it’s not always easy. If you’re like me and you want to stay informed, learn something new, and sound like you’re well versed in a variety of topics, you need to check out theSkimm. A free and fun daily newsletter that comes directly to your inbox (week days only). 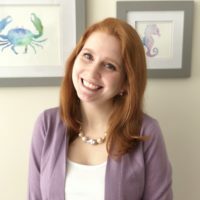 Why should I subscribe to theSkimm? It’s an entertaining fresh way of getting your news. For those of us always on the go, it’s an effortless way to stay connected to what’s going on around the world. Plus, it’s created by two women, and I’m always one for supporting women led/owned businesses. You can sign up via my referral link here. theSkimm is completely free, so signing up via my link helps me become an official skimm’bassador, meaning I can eventually help provide feedback, content, and test products/series the company is working on.